[There are] almost as many definitions of leadership as there are persons who have attempted to define the concept. I’m not going to add to the thousands of existing definitions of leadership. I believe that defining what leadership is—essentially, process that influences others to accomplish something—misses the point. What we need to understand first, is the purpose of leadership. Once we’ve decided that, we can think about what leadership qualities we need to carry out that purpose. …perhaps the real task of leadership is to confront people with their freedom. I love this expression of leadership mission. Too often our vision of leadership is clouded and restricted by 19th century ideas of leadership, emphasizing autocratic, bureaucratic, and charismatic leadership styles that are still commonly held up for us as models of what leadership is about. Even though more enlightened leadership models (e.g. servant and transformational styles) are becoming more widely used, there’s still a tendency to revert to the old models in some situations. For example, how do we treat conference attendees? At most conferences, attendees have very little say in what happens. The event revolves around a set of limited preselected session choices made by the conference leadership. Such an event culture implies a default passivity, where organizers, not attendees, make decisions—organizers who are, perhaps unknowingly, using leadership styles more appropriate for young children. It’s perfectly possible, however, to offer freedom to conference participants. Unconference designs provide structure and support for participants to determine what they want to learn, share, and discuss. Participants are then free to make the event their own. Most of us who are asked to try something new feel a natural reluctance or wariness. First time attendees at an unconference often feel apprehensive about the prospect of taking a more active role. That’s why I think Peter’s phrasing confront people with their freedom is appropriate. Unconferences offer an environment that gently confronts attendees with their power to influence what happens. In my experience, once attendees experience what it is like to have a real voice in shaping their event, the vast majority of them embrace this new freedom. 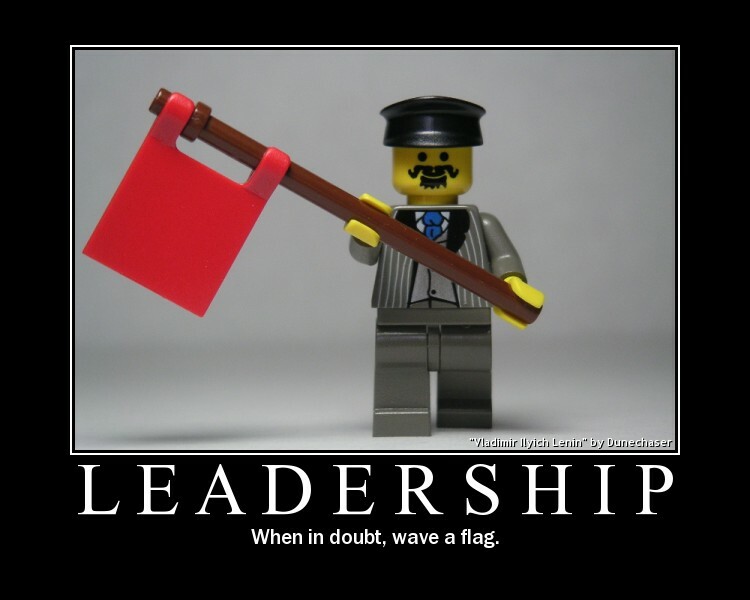 What do you think of Peter Block’s musing on the real task of leadership? Photo by Flickr user Dunechaser. This entry was posted on Friday, January 21st, 2011 at 8:30 pm	and is filed under leadership. You can follow any responses to this entry through the RSS 2.0 feed.You can leave a response, or trackback from your own site.